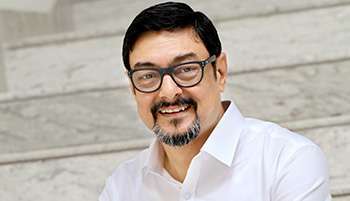 Saumen Chakraborty is President, CFO and Global Head of IT & BPE, Dr. Reddy´s, an integrated pharmaceutical company, committed to providing affordable and innovative medicines for healthier lives. He has over thirty-three years of experience in both the strategic as well as various functional areas of management (CXO in 9 different roles over last 22 years) and has played a significant role in the evolution of Dr. Reddy´s as a global pharmaceutical company. In 2016, he was recognised as CFO of the Year by International Market Assessment (IMA). In 2014 he was declared “India´s Best CFO with Exemplary All Round Performance” in the “5th Annual Business Today – YES Bank BEST CFO Awards”. He has also received multiple accolades for his performance in various other roles from multiple external agencies and employers, including the Chairman’s Excellence Award from Dr. Reddy’s, and the Exceptional Contributor award from both C-DOT and CMC. In June 2017, Saumen was appointed as an Independent Director on the Board of ABP group and currently he is the chairman of their audit committee. Saumen graduated in Physics from Visva-Bharati University and has a degree in Management from the Indian Institute of Management, Ahmedabad. He was a University topper. His passion statement in life is to strive for excellence in everything with honesty, commitment, courage and character.